Lunch is served at 12.15pm there is no need to book, although if you would like an alternative please let us know in advance so that we can prepare something. If any person has allergies or intolerance’s please let us know. PLEASE NOTE: All our dishes are prepared in an environment that is NOT free from nuts, seeds, gluten or lactose, therefore all dishes may contain traces. We cook a hot meal every week eg Cottage Pie, Sausage & Mash, Lasagne, Chilli con Carne, Soup, Baked Potato with beans/cheese or Chicken Pie. To avoid disappointment, it is essential you book an appointment with Kate on one of the numbers above not through the booking form below. 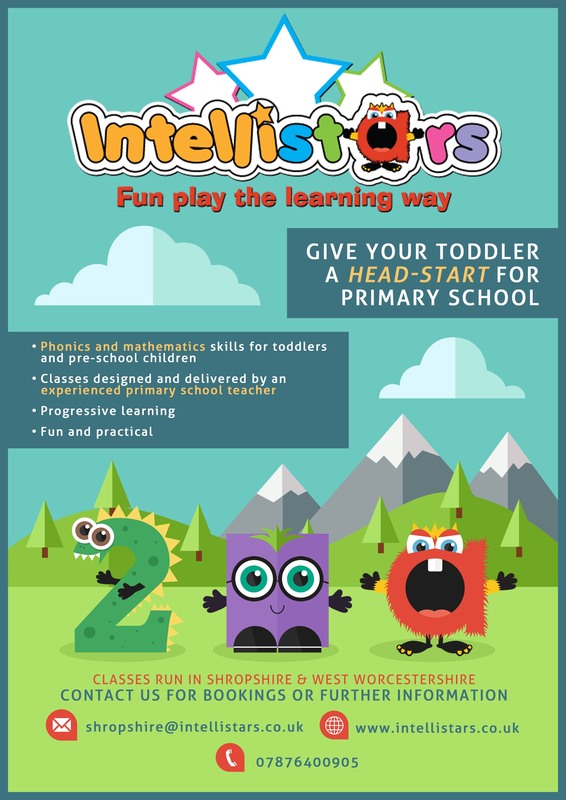 These sessions take place every Friday for pre school children £6.40 a session, which will need to booked for the term. Craft takes place every week but once a month it will be Let’s Get Cooking . These do not take place over the school holidays. Tai-Chi also known as Tai Ji Quan has been used for centuries for good health well being and self defence. It can help with problems such as stress, back ache, muscular tension, headaches etc. It can also enhance other sport and exercise programmes with its improvement in overall co-ordination and concentration. Friendly mixed ability classes where everyone can work comfortably at their own level. Introductory offer of first month’s lessons 1/2 price. I want to take this opportunity to thank you for the use of your venue, we’ve really enjoyed our time there and everybody that we have been in contact with has been excellent. 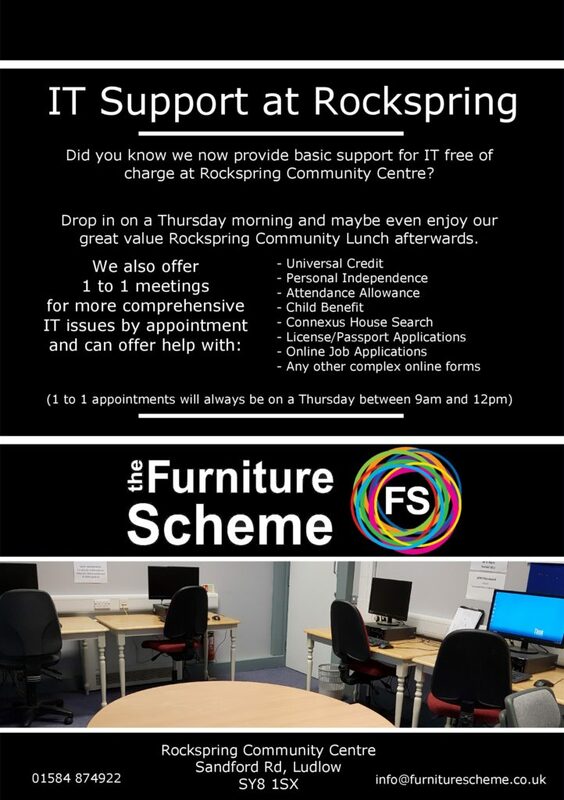 The Furniture Scheme is looking into the possibility of opening a community shop at Rockspring Community Centre. This shop will be an addition to the existing building. To help us gauge if there is a need for the shop and what items you would like to be on sale, we are asking anyone interested in this idea to spare a few minutes to complete a questionnaire during the week 10th to 14th October 2016. 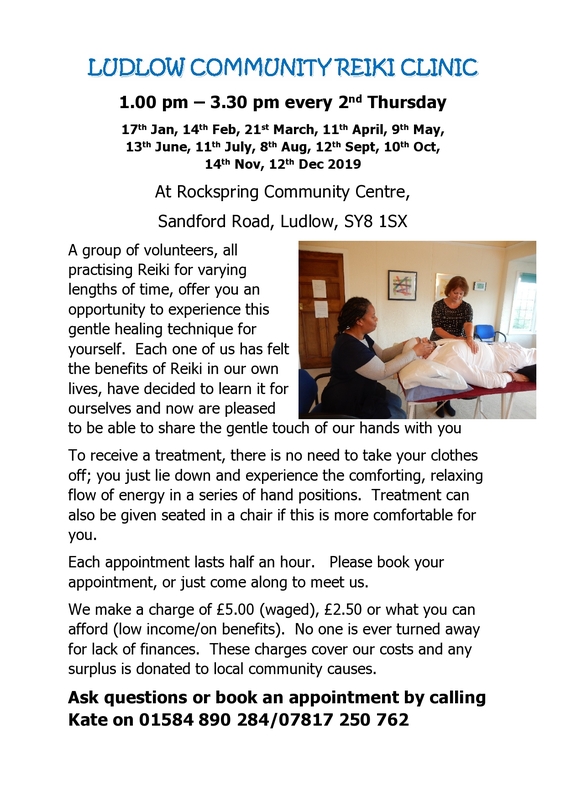 The questionnaire is available to pick up and complete at Rockspring Community Centre, Sandford Road, Ludlow – (The centre is open from Monday to Friday between 9.00am to 5.00pm) or we can email a copy if you let us have an email address. If you would like any other information please do not hesitate to get in touch with me. See questionnaire on tab below. 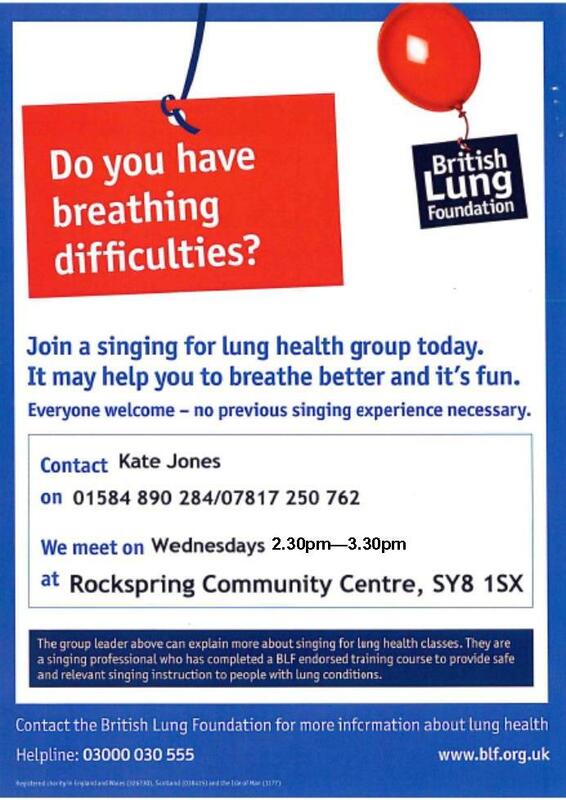 Do you enjoy singing? 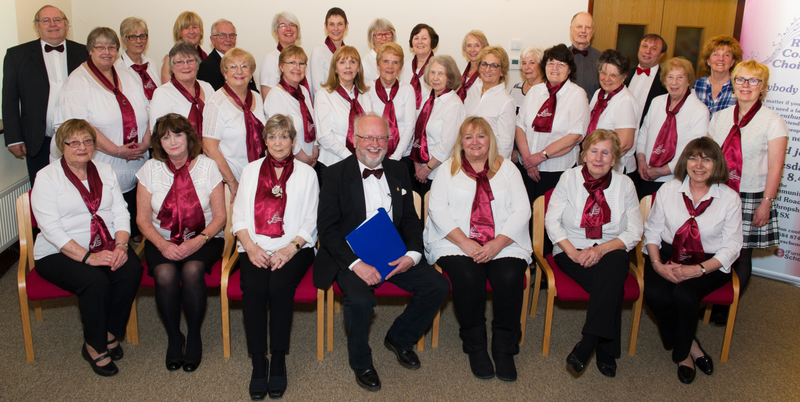 If so come and join the Rockspring Community Choir on Wednesdays at 7.15pm – 8.45pm. It doesn’t matter if you can’t read music or don’t have a fantastic voice, everyone welcome! Sub only £3.